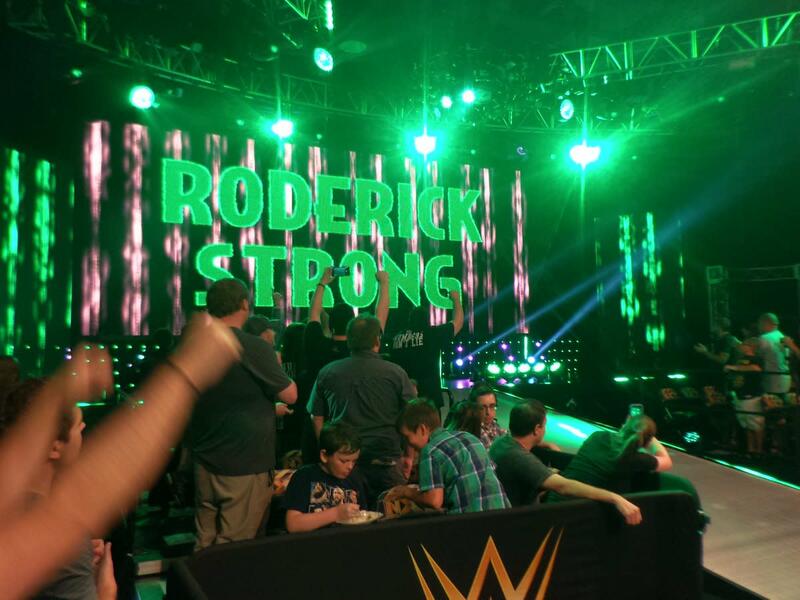 Though it's been known for some time that he had signed with WWE, Roderick Strong officially made his NXT debut at Thursday night's TV tapings. Strong was announced as Austin Aries' mystery partner in the second annual Dusty Rhodes Tag Team Classic. The duo took on Niko Bogojevic (now known as Otis) and Tucker Knight in a first round match. Strong and Aries have regularly teamed together in the past, including a reign as Ring of Honor tag team champions. WWE officially announced the news themselves with an Instagram post. Dave Meltzer first indicated on the July 31st edition of Wrestling Observer Radio that it was likely that Strong was headed to WWE. Strong, one of the talents most synonymous with ROH and its history, had his final match for the promotion in June against Dalton Castle. After leaving ROH, Strong made a few independent appearances before bidding farewell to Pro Wrestling Guerrilla in July.